Bass Pro Shops said Michael P. McDermott, a former executive at the Lowe’s home-improvement chain, will replace Jim Hagale as president. 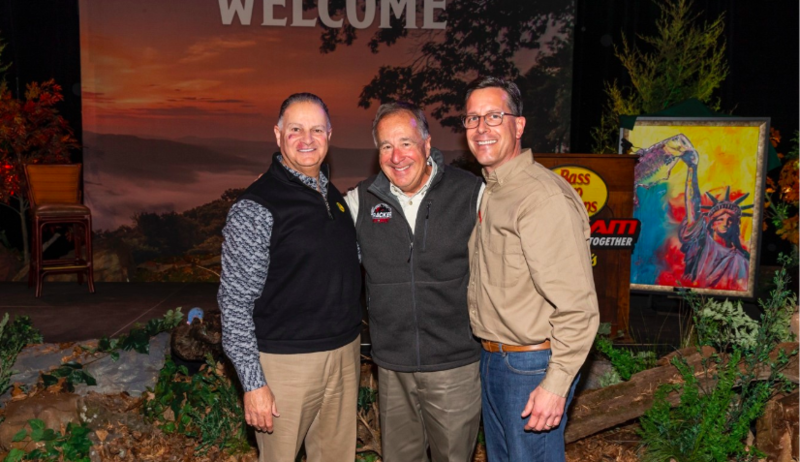 McDermott will guide the next phase of the integration of Bass Pro and Cabela’s and accelerate the outdoor retailer’s omni-channel efforts. Hagale, president since 2003 and COO since 2002, will stay on as senior advisor and acting CFO. 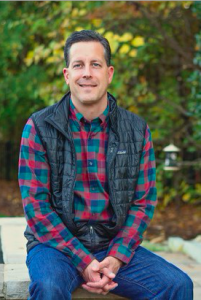 McDermott, who’s official title is president omni-channel retail for Bass Pro Shops, was most recently EVP and chief customer officer at Lowe’s. In his last role, he co-owned the P&L of the U.S. business and supported a multi-billion-dollar investment strategy and marketing budget, according to Bass Pro’s statement. Bass Pro highlighted that McDermott was “a key member of the executive leadership team responsible for articulating and executing a compelling omni-channel customer experience.” He managed an $850 million marketing budget with expertise in campaign development, agency management, loyalty creation and traffic generation. McDermott also directed the full merchandising offer for all Lowe’s stores in the U.S., Lowes.com, and all global sourcing activities designed to increase traffic, revenue and profitability. In its statement, Bass Pro noted that the search for a new president took into account the overall disruption taking place at retail that’s being driven by a rapid shift to online purchases and the arrival of mobile phones, social media and a wide range of digital technologies. Bass Pro’s statement reads, “McDermott’s appointment marks the beginning of an exciting new era for the company. As everyone knows, the retail sector is undergoing unprecedented and meteoric change. Since founding Bass Pro Shops in an eight-square foot space in the back of his father’s Brown Derby liquor store in Springfield, MO, Johnny Morris has been a true American pioneer in outdoor retail. Elaborating on his experience, Bass Pro noted that McDermott began his career at General Electric, where he spent 20 years in positions of increasing responsibility spanning sales, marketing, product management, general management and senior leadership of the major appliance business. In 2014, he became chief merchandising officer, where he directed global development and execution of all aspects of merchandise assortment, service selection, pricing, promotion, credit and sourcing activities. In his last role as EVP and chief customer officer for Lowe’s since 2015, he led an executive team of 1,500 with his team’s responsibilities covering merchandising, sourcing, marketing, digital, customer service and business strategy. Cabela’s noted that McDermott was particularly successful at establishing exclusive relationships with some of the world’s most admired brands, including Sherwin Williams, John Deere, 3M and Samsung. The retailer further noted that Lowe’s stock price went up 125 percent in his five-year tenure. The hiring comes as the retailer continues take steps to integrate and capitalize on its mega-merger with Cabela’s that closed in September 2017 . The retailer is reportedly making some progress. In October, Moody’s Investors Service affirmed the private-held retailer’s debt ratings due to improving margins (pro-forma for the 2017 acquisition of Cabela’s). The rating agency said synergies were being realized ahead of plan with higher-than-expected debt repayment since the Cabela’s acquisition closed resulting in better than expected improvement in pro-forma credit metrics. Margin improvement more than offset a decline in revenues (driven principally by the hunting and shooting segment) in the first half of 2018, but Moody’s noted that the declines had started to decelerate and were expected to moderate in the second half. The affirmation of the ratings came as Bass Pro proposed to increase its existing term loan due 2024 by $800 million. Bass Pro also last year began renovating some locations to feature Bass Pro, Cabela’s and Tracker Boats together under one roof and opened its first Outpost in Halifax, Nova Scotia under the combo format. 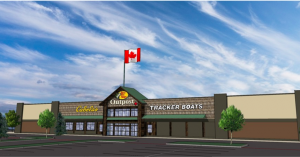 The concept adds a new Tracker Boats boat center and significantly expands fishing and apparel departments to reflect Cabela’s expertise. Morris also extensively thanked Jim Hagale for his contributions. Hagale joined Bass Pro in 2002 as EVP responsible for merchandising, distribution, finance, human resources and information technology. When he took over as president in 2003, Bass Pro had about 20 stores. Today, Bass Pro operates about 95 stores and Tracker Marine Centers, mostly in the Midwest and East Coast; in addition to about 85 Cabela’s locations, primarily in the western U.S.
Morris said, “Jim steadfastly served our company, our people and our customers for almost 17 years and made an immeasurable positive impact,” stated Morris. “His wisdom, devotion to customers and love of the outdoors made him an ideal leader for Bass Pro. Just one of countless examples, Hagale played the pivotal role working with the city of Memphis to transform the Pyramid sports arena into Bass Pro Shops at the Pyramid, one of the largest and most immersive retail stores in the world. Jim also served the vital role as Chief Integration Officer, helping to unite the two iconic outdoor brands Bass Pro Shops and Cabela’s.